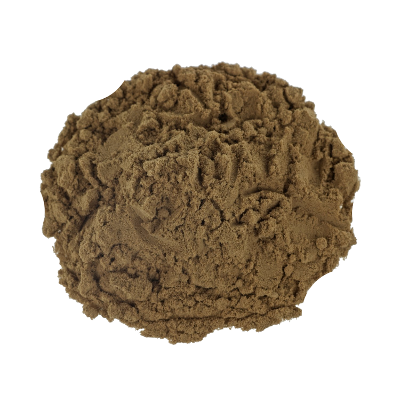 Bay Bean (Canavalia Maritima) extract is 25 times stronger than dried Bay Bean leaves. The Bay Bean,climber plant, is known for its relaxing, calming effects. It’s also used to enhance the effects of other herbs, like cannabis. Contains 3 grams of Bay Bean Extract 25x. In sealed plastic packaging. Bay Bean is relaxing and calming, making you quiet and slightly lazy. Bay Bean is sometimes used as a substitute for cannabis, similar to herbs like Wild Dagga (Leonotis Leonorus). 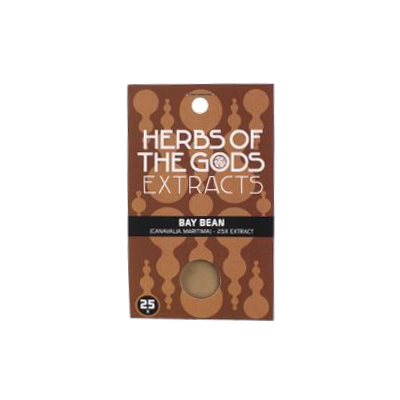 Bay Bean also finds use as an enhancer of the effects of herbs like Salvia (S. Divinorum) and Kanna (Sceletium Tortuosum). Use this Bay Bean extract to brew a relaxing tea. Dissolve 1 to 2 grams in hot water. Add honey to taste. This extract is 25 times more concentrated than shredded Bay Bean leaves. Bay Bean (Canavalia Maritima) is a pantropical climber plant belonging to the legume family fabaceae. It is found in tropical regions of all continents. In South America and Mexico, Bay Bean is a sacred plant. The Mazatec people and other indigenous peoples scattered dried Bay Bean leaves in rituals around the graves of their ancestors. Bay Bean was also smoked to emulate the effects of cannabis.